This post is brought to you by The Healthy Mummy & contains affiliate links. Like many mums out there, I’m still carrying around a fair bit of “baby weight”. In fact, I’m still basically carrying around my third baby in baby weight…. and he’s 18 months old. So needless to say, when The Healthy Mummy asked if I’d like to check out their new book, I jumped at the chance. 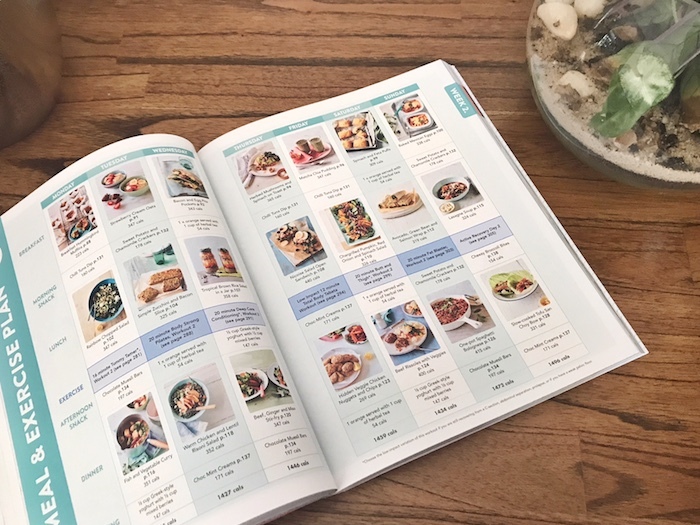 I’ve had experience with their products and programs before, having written for their blog and also done a round of the 28 Day Weight Loss Challenge (which I’d highly recommend) so I was interested to see what the new book had to offer. 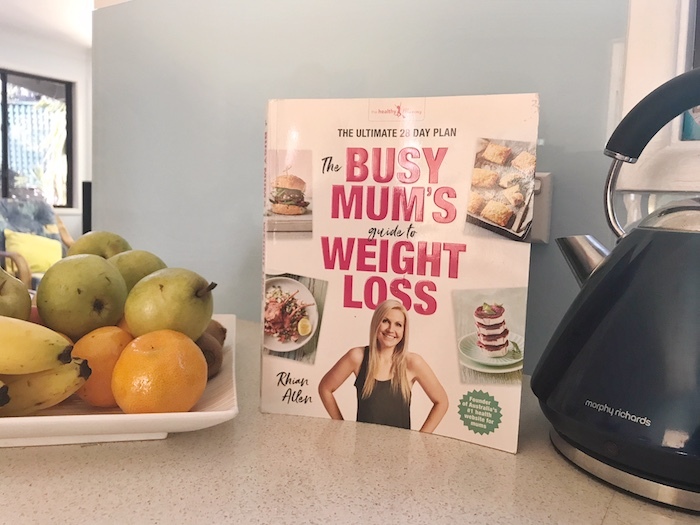 The book is basically a step by step how to guide on healthy, sustainable weight loss for busy mums (as you’d expect!). 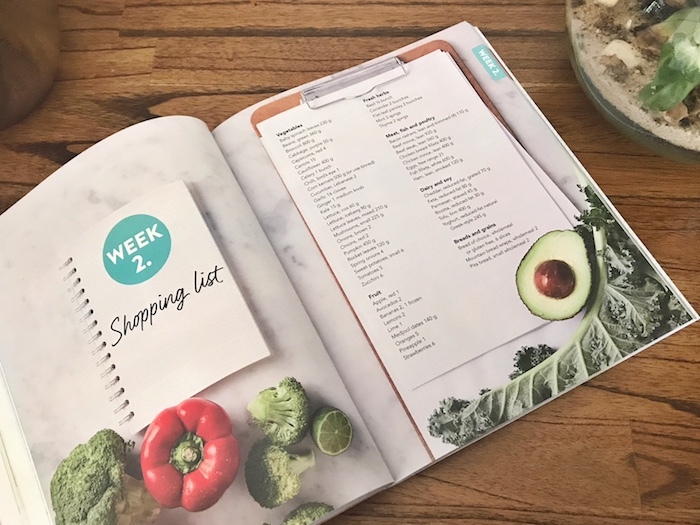 It contains everything you could possibly need from meal plans to recipes, advice, information, motivation, exercise plans and even itemised shopping lists! For someone like me who loves a well organised and clearly laid out program, it’s perfect. What Makes The Book So Useful? Everything in the book is super clear and straightforward. The meals are simple but tasty and the layout makes navigating it a breeze. It’s not a complicated program requiring hours of reading, tedious counting, calculating and effort. You can literally pick it up and start today. 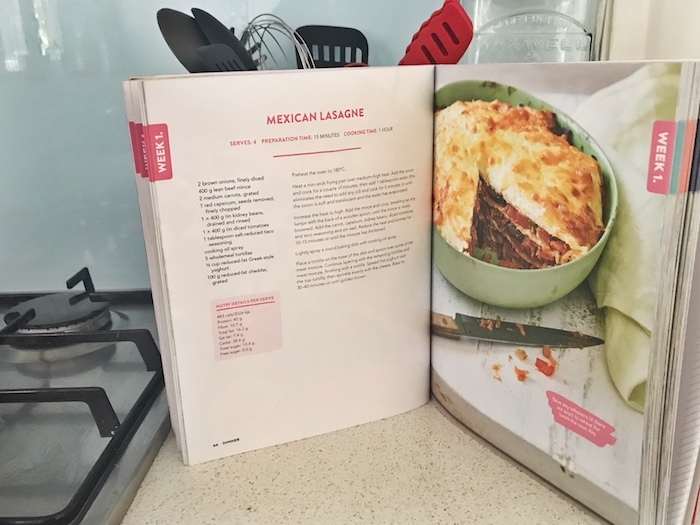 I also love that it’s a physical book and you can flip through the recipes, tag things with a post-it and have it on the bench while preparing food. Not only is the book affordable at under $30, but the meals are also affordable and achievable for those without too much spare time on their hands. Kids are fussy. Believe me, I know! One thing that is great about the book is that the meals are all kid-friendly so you won’t need to prepare multiple meals for the family. It also has heaps of lunchbox friendly ideas and plenty of meals suitable for bulk cooking and freezing for later. While the plan offers heaps of flexibility and the ability to mix and match things however you like, you can also opt to use the totally “done for you” meal plans and shopping lists. No thinking required! 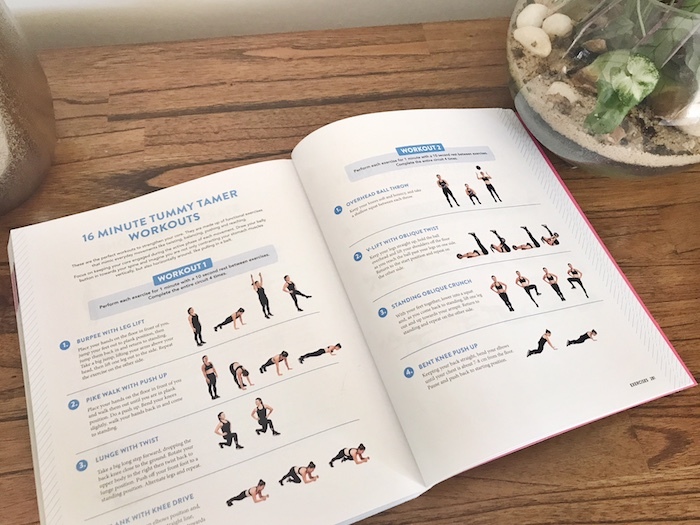 One thing I really like about the book is the exercise plans. There are options for those easing back into exercise right after baby through to those who want to get fitter, build strength and tone up. Everything is illustrated really clearly and they are all quick and achievable, perfect for busy mums. More and more we are valuing and understanding the importance of real, fresh food. One thing you won’t find in this book is prepackaged food, void of nutrients. You will find plenty of ways to use fresh, affordable, REAL food. Everything the book teaches and recommends encourages you to develop healthy relationships with nutrient dense, real foods and change the way you eat in the long term. It isn’t about depriving yourself (you’ll find plenty of delicious treats), instead, it’s about healthy, balanced eating that’s sustainable in the long term. The Busy Mum’s Guide To Weight Loss is available now from a range of retailers or you can buy it online. I really liked this post. This book looks like an all in one package. Thanks for sharing.